When I introduced myself and asked his name, he told me he goes by "The High Plains Drifter." 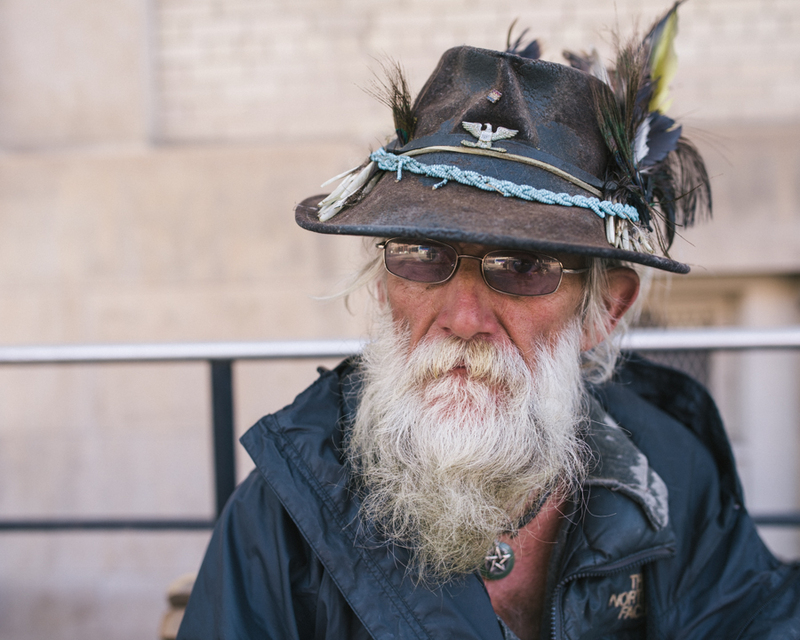 A friend of his came up and started talking to him shortly after I took the photo but another friend, Bayard, told me that he is a veteran and has quite a few interesting stories. I generally see him with his feathered cap near the Boulder Post Office, so I'm looking forward to talking to him more at a later date about his past.